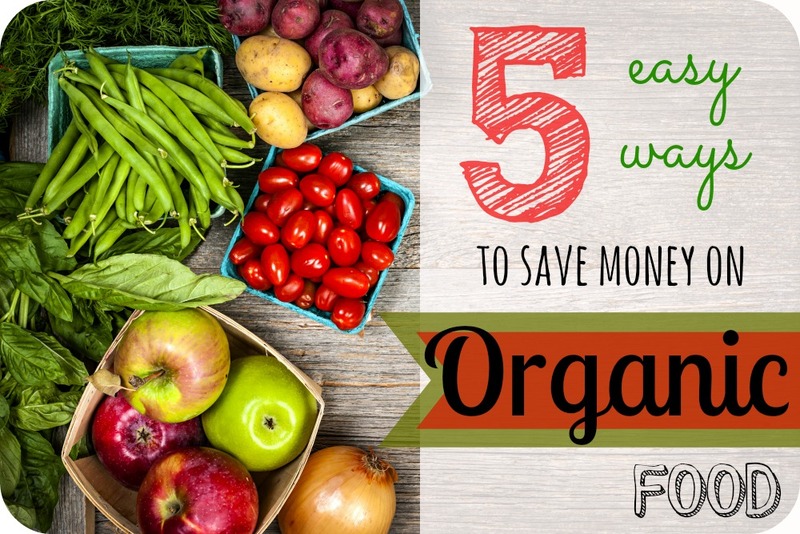 5 Easy Ways to Save Money on Organic Foods! Let's get real here, when you are making the transition to eating more healthy or organic food the price tag can be a little shocking. It's true that if you switched overnight, and traded item for item what you eat now to all organic, it would cost significantly more. Does that mean your grocery bill has to be the same or more than a mortgage? Absolutely NOT. Here’s why. With a little work and creativity, you can feed your family VERY well, very healthily, and mostly or entirely organic for a reasonable amount. What's reasonable? Well, that's kind of up to you, your budget, and your financial goals. I really don't like getting into specific dollar amounts because some people I know tend to feel defeated if they can't measure up to what another is spending on groceries. Also, prices can vary a lot depending on your specific location. As far as I understand the national average is around $100 per person per month. It’s entirely possible for you to eat very healthy and even organic on this amount or less. Over the last 6-7 years as we've been moving toward mostly organic in our diet. I've learned a lot of helpful tips, and I want to share a few of them with you now. My hope is to help you save a lot of money even if you are currently eating healthy or organic food. Did you notice that I mentioned both healthy OR organic? Yes, I am one of those nut jobs that still believe an apple is a better choice than Cheeze-its… even if that apple is not organic. Gasp! I know that's shocking. Please keep in mind all of these steps come with a measure of work on your part, but that's just the nature of saving money. You'll have to weigh out whether it's worth it to you or not. It all boils down to choices. To ease into this life-style change, and help your budget ease into it as well, start by buying only the “dirty dozen” produce items organic. These are the produce items that have tested the highest in pesticide residue. You’ll really want to focus on buying these items organic. The clean 15 are the produce items that tested the lowest in pesticide residue. I also know from my dad who was in the produce industry for 25 years that you never need to buy organic bananas. Not just because the peel comes off, but they don’t spray the trees with anything. Avocados do not need to be organic either. Corn happened to make it on the clean 15, but you always need to buy GMO free certified corn. If you live in the US, 80% of our corn and corn products are GMO. So, non-organic corn is not “clean”, and it’s not even necessarily GMO free if it doesn’t have a third party label on it. Lots of companies are beginning to label their corn if it is GMO free. These clubs are a fantastic way to save heaps of cash on top quality food! A buying club is where many people come together to purchase food in bulk, work together to unload and split it up, and share in the savings. This is also known as a co-op. It usually requires some work on your part but the savings can be big. Where I used to live we had a co-op with over 300 families involved. We were able to get the bulk of our dry goods, supplements, spices, household goods and frozen foods at very reasonable prices. You most likely have one in your area, but if you don't have a co-op in your area you could always organize one. Or Azure Standard- www.azurestandard.com/. Call and find out if they have a monthly drop near you. This might be hard for you if you've been used to convenience-packaged foods, but if you really want to have more room in the budget for higher quality food, you have to ditch the packages. Now, this doesn't mean you can't ever buy them, but make it a rare occasion. Why? Every time the work is already done for you, you are paying extra for it. When something comes neatly in already portioned packages, you are paying extra for the package. This is frugal budgeting 101. I’m sure you’ve heard it before. You will slash a significant amount of money by avoiding as much packaged food as possible. I'll give another point here… Just because “organic” is slapped on the label of that snack food, does that mean that it's healthy? Not necessarily. It's kind of like the label “gluten-free”. That's really there to let those who are allergic to gluten know that this food is safe for them to eat, not as a stamp of health. Not all foods that are labeled organic are health foods. Choose wisely. Let's take yogurt for instance; buy the larger containers and portion them yourself at home instead of buying each individual yogurt. Learn how to make some easy snacks for your kids or simply give them sliced vegetables and fruit. Not only will eating whole foods save you money, it’s also much healthier. Even the organic snack foods can have less-than-stellar ingredients. Another way you can cut costs is by making your own salad dressings and condiments. It only takes about 5 minutes to make your own mayonnaise or dressing- it's really very easy. If you decide to make these things you can avoid any “iffy” ingredients or GMO laden oils, plus it costs only pennies per serving. Though this requires a little legwork on your part, it could really pay off big time. If you can find a farmer in your area that sells eggs, produce, milk etc.- and you’re able to buy directly from them; you will save a lot of money. Frequent your local farmers markets or talk to friends and see if you know anyone who does this. Often, a smaller organic farmer will not be able to fork over the cash to pay for USDA certification, but they still grow their food or raise their animals organically. This is really the ideal farmer for you because their prices can be much lower. By doing this, we have been able to find eggs from healthy chickens for 50% less than the organic eggs at the store. Of course we all know that meal planning is key to saving money, but I'm going to take it one step further. Planning out your meals in a way that uses the same ingredients, or a lot of them, more than once will save you even more money. Instead of having 5 different protein choices for the main meals of the week, have just a few. For instance… Use a whole organic chicken and roast it. Pull the meat off of the bird and separate portions for different meals. If you really get creative you COULD turn that meat into 2 and maybe 3 meals. Trust me, it is possible; I know this because we do it often. One meal could be a hearty chicken and vegetable soup, or chicken noodle soup (use the chicken to make the stock). Another meal later in the week could be chicken fried rice, or chicken tacos, or chicken enchiladas, or…you get the picture. This is what I like to call “serial” cooking. You do the bulk of the cooking once and utilize the food multiple times throughout the week. This also makes dinnertime run smoother as you’ve done a bulk of the work already. Large families typically go a lot lighter on the meat out of necessity, but any family could learn to do this. I know this is going to sound crazy, but beans are NEVER a main meal in our house, my husband does not eat them. I can serve them on the side for the kids and I, but we can’t have the token “beans and rice” meal. Even still, we’ve done very well staying on our budget by stretching the meat. Take one chicken breast and cut it into 2 or 3 thinner breasts to make it go further. Use less beef in your spaghetti sauce and add more vegetables. Have plenty of vegetable and salad sides with the meals to make everything go further. Instead of meat being the focus of the meal, have it be more of a side dish. You can still create filling, nutritious meals doing it this way. Also get used to using your leftovers. Make enough food for lunch the next day. 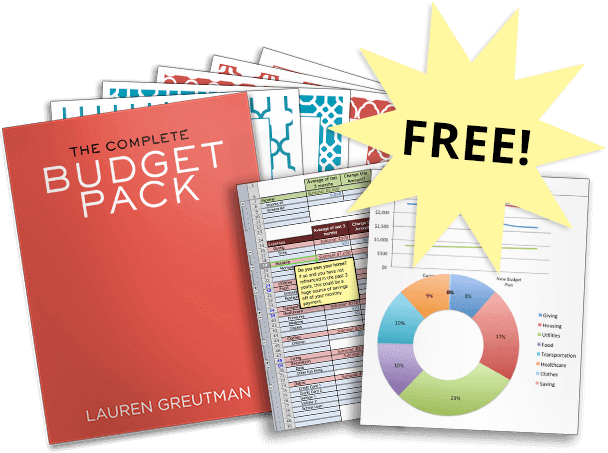 This is a huge budget and time stretcher and it might even save your sanity. If you utilize some of these tips I think you’ll begin to see that even while trying to eat healthy or buy organic food, you can still maintain your budget. So you’ll be happy, healthy, and have a fat wallet. What tips do you have on saving on organic food? 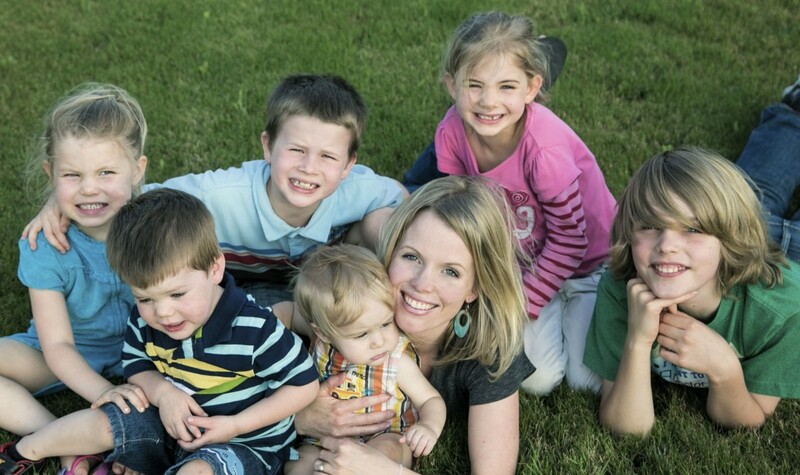 Heidi Mills is a homeschooling mom of 6 kids who is passionate about healthy living. She’s on a mission to make health and nutrition accessible and easy for everyone. She started her blog Simple Recipe Box to be a place for people to find SIMPLE ways to improve their health and recipes that they can actually make without much effort. It is growing into a great community of people who are working together to rid their lives of processed foods, and encouraging each other to take baby steps towards better health for themselves and their families. Grow some yourself. In a seasonal garden or a window box or with a grow light. Greens in winter are expensive, especially if imported. Plus growing things is hugely satisfying. You can also help the world by teaching children to grow things. They love to watch the seeds they planted spring up. The bonus is that not only is the result organic if you control your seeds and soil but they learn where their food comes from. Maybe the next generation can grow food like their great-grandparents did. In the first half of the 20th century almost everyone gardened. Quinoa is high in protein and fiber…no need for beans. Use brown rice and pair it with wheat or corn for a full protein. Plan to eat vegetarian at least twice a week, and up your consumption of fish. Reserve red meat for once a week. Healthier, cheaper and still pretty satisfying.